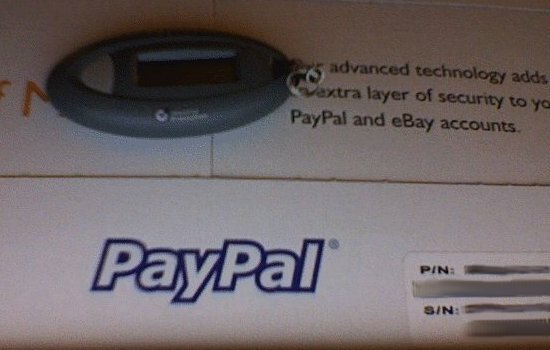 Like we’ve said before, PayPal had increased its security views by allowing business accounts free key fobs, and personal accounts at a low one-time fee of $5 per key. The two-factor authentication is something that many corporate VPNs have implemented, and banks have been swearing up and down the line that they “will” get to it. Now let’s take a quick look at how two-factor authentication works before we look at the fancy pants device that PayPal sent out. Hence it came. In one of those hard mailer envelopes via the United States Postal Service. 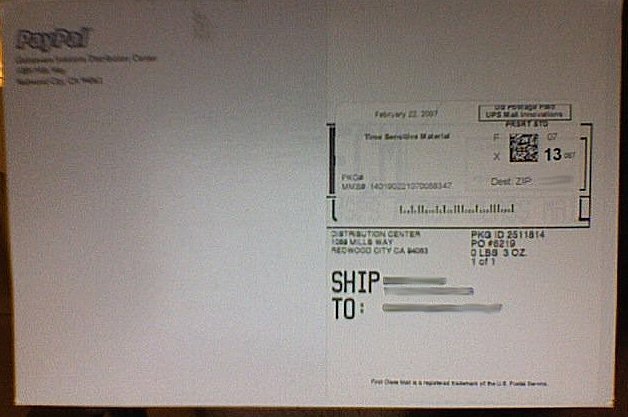 For the five bucks, it was actually sort of surprising considering the cost of the item was both the hardware and shipping which had to cost at least more than your average thirty-nine cents. The keyfob comes with some pamphlets on how to protect yourself, and is stuffed in a little box. A bit different from usual RSA tokens, where they’re on all the time, these are only on for 30 seconds whie you hit the button to show the six-digit number in the display. Not sure on the lifetime of such devices, but it would have to at least keep a slight charge from the battery to the timing mechanism.